In the spring of 2013, I wrote two articles on the digital technologies that were changing the way we do history: one on blogging (Digital History: A Primer Part 1) and one on digitizing documents and images (Digital History: A Primer Part 2). I promised to write a third article on what I called “Digital History For Real.” I never wrote that third one. 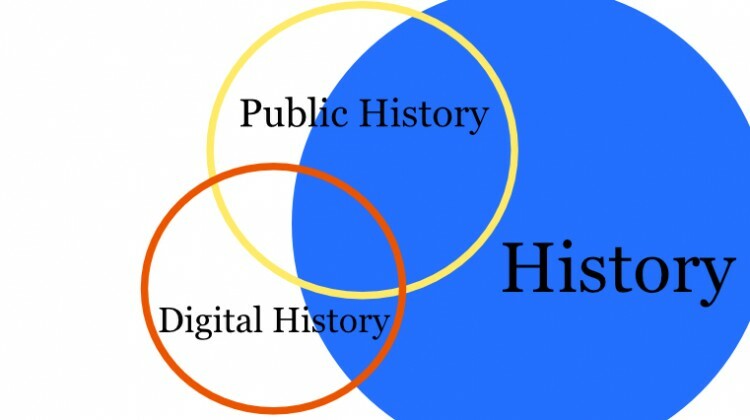 At the time I was scouring the internet for digital history projects that were using computer technology to produce new kinds of historical documents that I hoped would generate new historical questions or new historical methods, and eventually yield new ways of thinking historically and new insights into the past. To share what we were finding, we started The New Archive, a series of reviews of digital history projects. The first two entries covered an online archive about the Irish Easter Rebellion of 1916 and an interactive map called Visualizing Emancipation about the surprisingly long-term and often violent process of resisting and ending slavery in the U.S. Along the way, we found marvelous maps, archives of sounds, even a database of feelings. We found data visualizations of stunning creativity and graphic appeal. Our most recent front-page feature, by UT art historian John Clarke, displayed the ways gaming technology can be used to reconstruct ancient buildings and make them accessible to everyone. And about a year ago, in November 2014, we offered a list of resources on digital history, in case you wanted to start exploring on your own. First though, today I want to talk about the ways that historians have been using digital methods to make history more appealing and accessible to the public. This is the realm where Digital History and Public History overlap. So far, public history has benefited from the digital more than any other kind of work historians do.